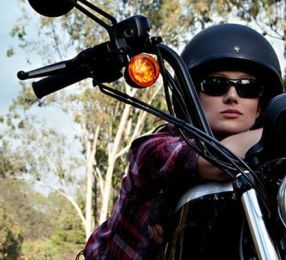 When you own a Harley-Davidson motorcycle, your bike is who you are. 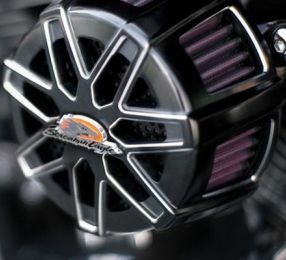 Make it uniquely yours by choosing from more than 8,000 parts to create your custom of one. 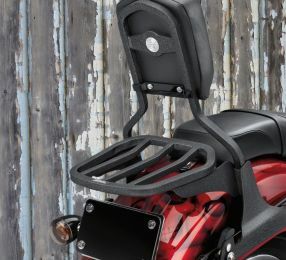 Fitting the right Harley-Davidson® motorcycle backrest & seat does way more than just look good on your bike. 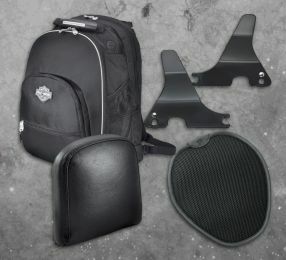 Find the perfect backrest & seat combination for you and your passenger and give your bike that classic Harley profile. 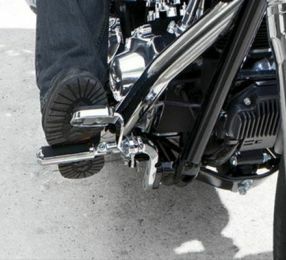 Get a perfect fit between you and your bike with a seat that matches both your body and riding style. 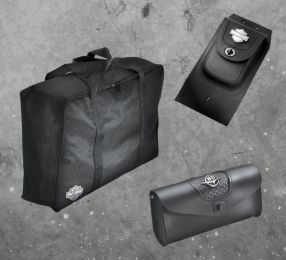 Leave it all behind and head off into the sunset, but don't forget your luggage. 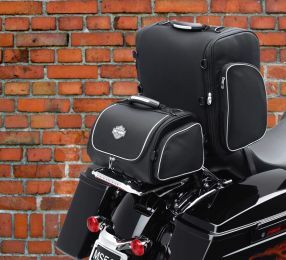 Harley-Davidson motorcycle luggage, bags, trunks and backpacks will hold everything you'll need for your journey – in classic H-D style. 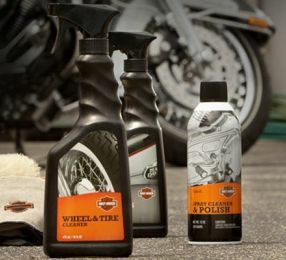 To give your bike a clean and seamless appearance, select components from one of the Harley-Davidson® Parts and Accessories Collections. 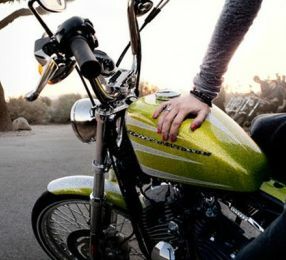 You'll be one step closer to the look you've been dreaming about. 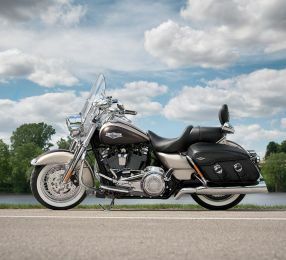 No two Harleys ever have to be alike, thanks to the options of motorcycle trim and other decorative components. 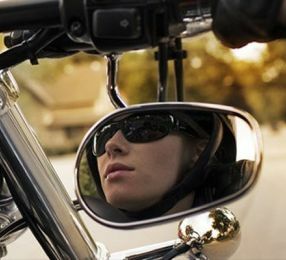 Freedom is right in your own hands with Harley-Davidson genuine motorcycle handlebars, controls, and hand grips. 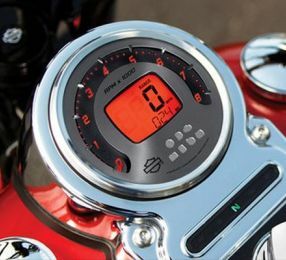 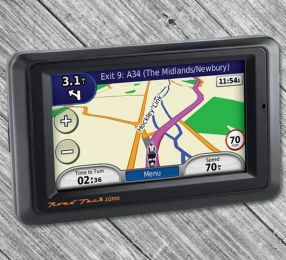 Whether you want your bike to look great or fit you perfectly (or a combination of the two), H-D has the controls and kits you need to make the front end of your bike your own. 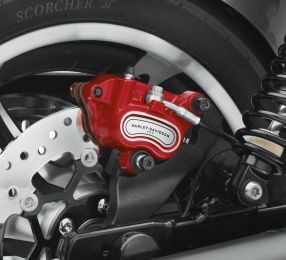 Harley-Davidson motorcycle owner's manuals include operation and maintenance information. 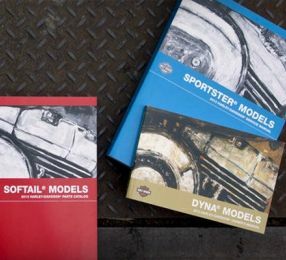 Factory-Authorized H-D service manuals provide details on service and maintenance procedures. 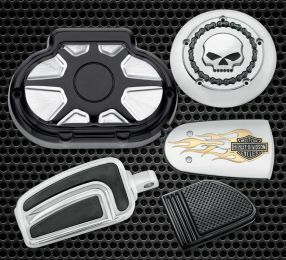 Add a true custom touch to your ride with genuine Harley-Davidson motorcycle mirrors. 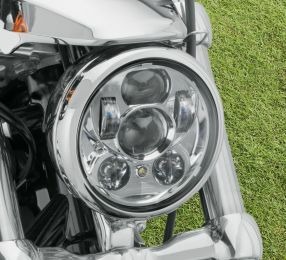 Whether your preference is round or teardrop, flames or skulls, H-D will enhance your visibility (in more ways than one). 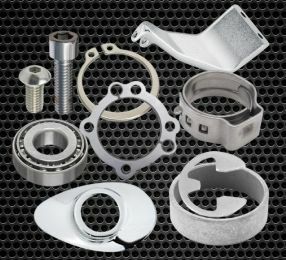 Original Harley-Davidson® OEM parts you can rely on. 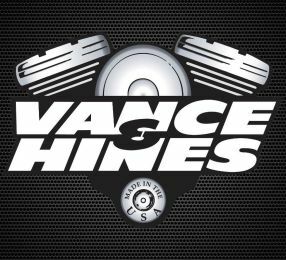 Stay competitive with the proper parts. 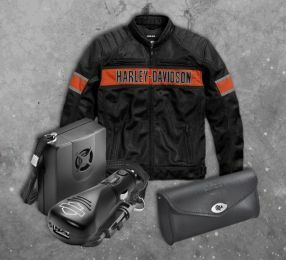 We offer you a massive choice of authentic Harley-Davidson® Screamin' Eagle® components and tools. 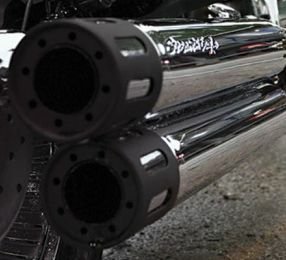 Make your bike developed, improved and stand-out. 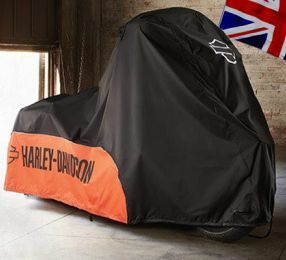 Harley-Davidson motorcycle covers protect your prized possession from the elements, while H-D motorcycle security systems protect it from thieves. 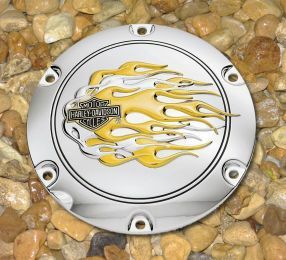 Custom motorcycle wheels and sprockets can give your bike a whole new attitude. 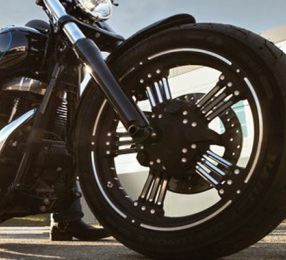 From chrome to blacked-out (and everything in between), Harley-Davidson wheels are made specifically for H-D models, and H-D sprockets are designed to complement the wheel's styling but it wouldn't be complete without top-quality Dunlop and Michelin motorcycle tyres. 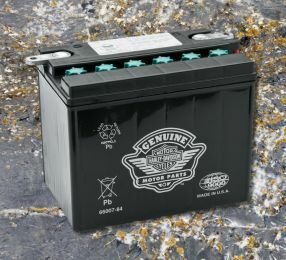 Hot days riding is not a problem anymore. 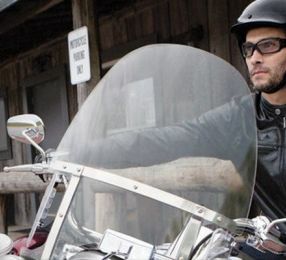 Look what we got for you, Harley-Davidson® windshields and wind protection created to give you an easier and comfortable riding. 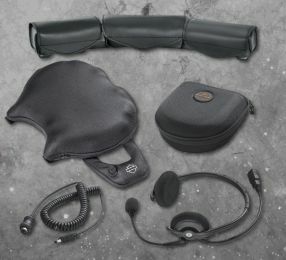 Must-have to a hottest day.